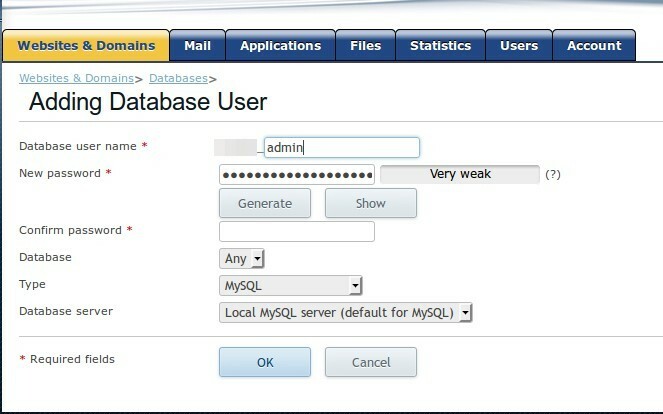 In Plesk, first we create a database, and then we create a user to access that database. Both steps are outlined below. Note: These examples are using Plesk 10. The steps will be the same for other versions of Plesk, however, the button locations may be different.